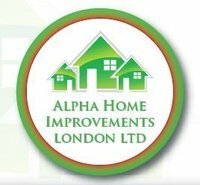 Alpha Home Improvements is a family run company, who offers its customers a wide range of services and products at affordable prices. 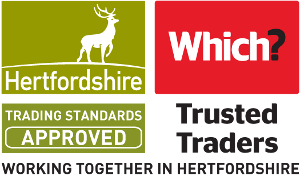 Our professional team has a wealth of industry experience and a comprehensive knowledge of all the latest on windows, doors, conservatories and all other home improvement technologies and techniques. We take great pride in providing a tailor made service to suit your individual needs. These people are very nice if you have no issues and don't complain about anything. But I did ..! The installation team left some debris inside and outside of the house. Although sheets were used indoors they were wet and dirty. The patio door handle proved difficult for me to operate with elderly arthritic hands and so I asked if a more suitable option might be available (at extra cost). The jointing on the windows appears quite poor and misaligned in places. They look like factory seconds. I would like to attach a photo here but there seems not to be an option to do so. The boss came to visit regarding these concerns. He was unable to cope with criticism in a professional manner and walked out refusing to deal with me further. So I am left with a door handle that is difficult to operate and windows of dubious quality. The job was done by the agreed schedule. Will recommend them to my friends anytime, very professional in the job he was doing. Professional in every way in suggesting the back door we should have. Clear and concise in their explanation of what we could have and produced the exact diamond leading we wanted, together with patterned glass. Everything was on time and their work was quick and clean. A good price as well! Business replaced an existing conservatory with a brand new one. All work done on time and to a high standard. Very happy with completed work. No problems. Having work done in your home can be a headache for many reasons, but Jason & his team made it so easy. I was kept informed all along the way. The guys working on the job were meticulous in their work and ensuring my home was left as clean as possible each night. Plus I felt comfortable leaving my house keys with them just to get on with it - and they did! Even though Paul was working 24/7, he & his boss made sure that he could do the job of fitting both a new window and a door in the time we needed, so he came & worked all day Sunday! Prompt, efficient job took time and cared for rest of house. Great finish to inside and outside, would recommend. Replaced Facia, Soffit's and gutters. Did a good job, I would recommend them. Rain stopped play, glass scratched & replaced without a quibble. Great customer service.